In the past few months, we've been quite busy both in the field and with local social media activities. Delivering SME events and running social media contests around Greater Accra, Central and Ashanti region to promote our service and drive App adoption, interviewing customers to learn first-hand how they use our mobile App and building banking partnerships to grow our offerings. We've also recruited some high-performing, awesome summer Interns - and have been putting our investment funding to work by further developing our product functionalities to help our bank partners and customers. In Q2'18 we saw a growing increase in downloads of our App and received a steady flow of applications for financial services, particularly loans and savings. We also began discussions with potential insurance partners to grow our offerings in response to demand. Our focus for 2018 is to grow our product and service offerings by bringing on 4-5 more financial service providers in Ghana, begin offering insurance products & credit reports, start expansion to Nigeria and complete our Seed round of funding. Read on to learn more and see our impact to date. Several Hundred Applications from Small Business Owners. In June, we were able to sign another financial service provider (FSP) to join us in increasing access to finance for MSMEs. Ghana Home Loans Bank (GHL Bank) was initially incorporated as a mortgage finance institution in 2006 and obtained a banking license in 2017 to serve MSMEs with a variety of business banking products.We are excited to help GHL achieve their financial inclusion mission and offer their dynamic products on our platform. In Q3, we planto to add 2 more FSPs onto our platform along with Insurance products so we can meet our rapidly growing and diverse demand from small business owners. 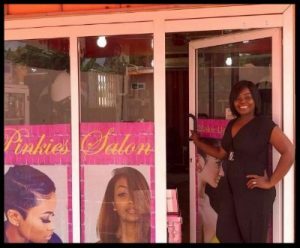 Meet Becky a recent Bloom Impact customer who runs a hair & nail salon and event space in Accra. 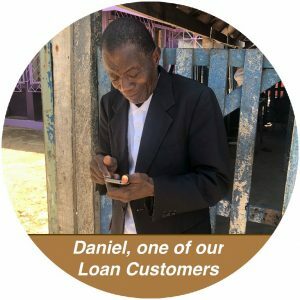 She downloaded our App and quickly applied for a loan to grow her business. With 20+ years of experience as a hairstylist, Becky also has a strong desire to help others by sharing her industry knowledge. Becky employs several women and has started a program called Project Ten Girls that provides smart, capable, and underprivileged young women with hairstylist training - providing employable skills and helping the women to lift themselves out of poverty. We love Becky's enthusiasm and kindness & we're honored to support her and the young women she employs. 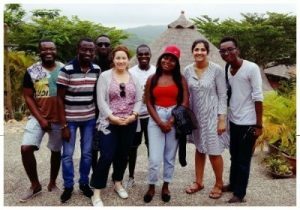 Ira Guha (Operations Intern) is working on driving customer adoption of our App, supporting App testing, developing our digital communications systems and researching expansion across West Africa. She is currently a Masters in Public Policy candidate at Harvard Kennedy School. Swarupa Vaishampayan (Machine Learning Intern) is working on incorporating more machine learning and predictive analytics into our backend credit scoring system and platform. She is pursuing an MS in Information Science at the University of Pittsburgh. Shola Fashanu (Operations Intern) is helping drive growth on the ground in Accra, managing social media and marketing and supporting our operations team. She is studying Mechanical Engineering at the University of British Columbia and joins us as a Junior Fellow through EWB ventures.